Given the theme of this year’s conference “Transdisciplinarity and the Unity of Knowledge” I originally intended to simply contribute with this paper the definition of transdisciplinarity, and provide a comprehensive overview of the field of transdisciplinary projects, organizations and media. The sobering result of my initial investigations was that 1) there is no such thing as a generally accepted definition of transdisciplinarity, but instead the term is used in a range of ways 2) there are only few projects claiming the attribute “transdisciplinary” for their quite diverse and sometimes more and sometimes less successful ways of working. This situation may be quite understandable given the young age of the concept. Nevertheless I personally would like to see a more coherent, united and striving transdisciplinary movement, because, at least to me, it holds the promise of further developing ways in which humanity may be able to address present and future challenges of daunting complexity and to counterbalance the continued specialization in order to avoid fragmentation. As a first step into this direction, what I will thus present here is first of all an attempt to identify in this sometimes disorienting landscape of disciplinary interaction the most basic principles and to sort them into an coherent and simple framework in the hope that it may serve as a starting point for developing common ground, maybe even as a unifying impulse for the transdisciplinary movement and at least as an orientation guide in the jargon jungle. To do so I will start out by briefly sketching graphically a possible way of coherently interpreting disciplinarity, multidisciplinarity, interdisciplinarity, transdisciplinarity and metadisciplinarity and the relationship between them (Figure 1). In the following sections I will then explain in more detail these notions and the graphic symbols I used to represent them. I will also briefly mention other related terms such as pre- pluri- sub- super- and post- disciplinarity in conjunction with those of the above notions they are most related to. I have chosen an arrow as the symbolic graphical representation of a discipline because it is a simple enough symbol but at the same has considerable depth of meaning and interpretative richness. It can for example be seen to represent a move from somewhere to somewhere else. That means it basically contains the concept of a starting place, a goal, and the way to get there. It can also be interpreted as an indication of direction which I would like to associate with different disciplines offering different perspectives (from different “points of view”) on reality. I would like to make explicit that I include all forms of academic and non-academic specialization in this term, in vein with the commonly broad definitions of the word such as “a field of study”2 or “a branch of knowledge or teaching”4. Nevertheless, in the following considerations I will have primarily the academic disciplines in mind, since the terminology of multi-, inter-, trans- and metadisciplinarity evolved mainly in this area. I don’t think it is necessary here to go into much more detail regarding the definition of academic disciplines because I believe there is a relatively good general agreement on the concept. It may be interesting to note, however, that etymologically the origin of the term discipline seems to be based on the assumption of an, as such, undivided whole that needs to be taken apart only for better understanding. With respect to the academic disciplines of today there sometimes seems to be little awareness of this wholeness and instead an almost competitive feeling of wanting to explain everything through one discipline. The origin of academic disciplines as we know them today dates back to the first universities at around the 11th century in Europe. Emerging out of monastic education or motivated by the need of worldly rulers to establish a secular counterweight, the scientific3 methodology proved extremely successful in the following centuries. In the course of its development the management of existing and the production of new knowledge differentiated into more and more specialized subject areas called disciplines. In the second half of the 19th century, universities were first restructured into different faculties (~departments). New disciplines are still forming today. Multidisciplinarity (from Latin multus = many) can be defined as referring to any situation “of, relating to, or making use of several disciplines at once”4. The most simple form of combining disciplines would be additive. Multidisciplinarity is thus first and foremost used for describing “a non-integrative mixture of disciplines in that each discipline retains its methodologies and assumptions without change or development from other disciplines within the multidisciplinary relationship”5. (This I tried to capture symbolically in the graphic with three arrows, being somewhat aligned but not interacting.) A university or even science as a whole should thus, also in the absence of any interaction between the disciplines, be seen as a multidisciplinary endeavor. Pluridisciplinarity (from Latin plus = more) is normally used as synonymous to multidisciplinarity but sometimes its meaning is restricted those situations where different non-interacting disciplines share the same object of study. Some confusion can arise because also more complex interactions between or combinations of disciplines are sometimes called multidisciplinary. This is in my view justified, since they are in a general sense founded on multidisciplinarity. As a general principle in the mapping of definitions proposed here (see Figure 1), increasing levels of interaction include and build upon all lower levels of interaction. For clarity, however, I recommend that the word multidisciplinarity should only be used in the more narrow sense. There are many different definitions of interdisciplinarity while at the same time those publications aiming for a definitive definition often remark that it seems “to defy definition” (see e.g. Klein6). As you may already have noticed, I am not so much aiming here for definitions that simulate a precision which the use of the terms usually lacks. However, I believe it makes sense to try to arrive at some level of agreement so that communication is made easier. As a first step I primarily want to convey here that there is a continuum along which the terms can usefully be positioned relative to each other. In this sense, a possible common denominator of the meanings attributed to interdisciplinarity is, in my view, that it denotes some kind of interaction between disciplines that goes significantly beyond mere existence next to each other. This implies “bringing together in some fashion distinctive components of two or more disciplines”7. This I have tried to capture graphically by the two-way-arrows added between the arrows representing the disciplines. Some confusion may arise from the fact that the word interdisciplinarity is often used in a very general sense, referring to almost anything that has anything to do with more than one discipline. For example there are some definitions that view interdisciplinarity as a sort of umbrella term and break it up into components such as multidisciplinarity, transdisciplinarity, metadisciplinarity etc. This is not necessarily wrong, because, as we already discussed in the section on multidisciplinarity, the different levels of interaction built upon and to some extent incorporate each other. Whenever clarity matters, however, I would suggest using the term in the stricter sense sketched here. According to the American Heritage Dictionary8, the term interdisciplinarity was first coined in the 1930’s. By this time (about a century after the death of Thomas Young, “the last man who knew everything”9) disciplinary specialization had advanced to the point where the close cooperation between individuals from different academic disciplines had became an inevitable necessity for successful problem solving. The increased demand for innovation caused by the second world war led to the formation of many new interdisciplinary research institutions, some of which remained active also after the war. Interdisciplinary activity has shown another marked increase in the last third of the 20th century, and has become standard in the academic environment of today. Initially interdisciplinarity was employed often in response to questions relating to environmental and ecological concerns, because of the clear necessity to include multiple levels of analysis. Today there are interdisciplinary endeavors combining almost any imaginable disciplines. A related term is crossdisciplinarity which in my understanding denotes a weaker form of interdisciplinarity, where the methodology and theory of one discipline is applied to a subject area that is usually associated with another discipline. (Crossing, but not changing the boundaries of ones discipline.) Examples of such interaction could be the physics of music or the politics of literature10. While initially enormous hopes and expectations were attached to interdisciplinarity the buzz has meanwhile given way to a realization that good interdisciplinary work is hard to do and requires the development of new structures and methods that facilitate such creative and constructive interaction and cooperation. Transdisciplinarity is a relatively recent word and as such general agreement as to its meaning has not established, which is a problem and a chance at the same time. Official dictionary definitions often treat the word as synonymous to interdisciplinary (e.g. “Transdisciplinary: Pertaining to or involving more than one discipline; interdisciplinary”11). While it is certainly correct to see transdisciplinarity in the vicinity of interdisciplinarity, such a vague definition does not do justice to the intention of the inventors of the word nor its actual usage. Transdisciplinarity therefore in its most extreme form leads to the situation where there are no more boundaries discernible between the interacting disciplines. This can be seen as the moment when a new discipline has emerged. There are a number of such interdisciplinary endeavors that have become transdisciplinary and developed independent dynamics to a degree that justifies calling them disciplines in their own right (for example biochemistry). It is in describing the intermediary stages of such a process that the terms sub- and superdisciplinary can be most fruitfully used. This dynamic of ‘fusing together’ I have tried to represent with an arrow spanning across and linking the other arrows. Related to this, there is another important principle at work in transdisciplinarity, which is indicated by the fact that this new arrow also has a dynamic of its own, pointing upward and downward in the direction orthogonal to the direction of the other arrows. What I mean by this transdisciplinary dynamic is the development or emergence of frameworks that unify existing disciplines by identifying common principles which are at work in all of those disciplines and the formulation of a common language which contains these principles and thus facilitates cooperation and exchange. Etymologically, the prefix trans- comes from the Latin word trans meaning ‘across’, ‘over’ and ‘beyond’. In this sense transdisciplinarity can be understood both as describing a high level of transfer of knowledge and methodology across disciplinary boundaries as well as concerning all that which is relevant across disciplines. These early definitions were to some degree weakened but also enriched by later discussions, in particular with respect to the issues of the subject of transdisciplinary investigation, the structural implications of transdisciplinarity and the exact methodology of transdisciplinarity. Jürgen Mittelstrass, for example, who (re)introduced the term into the German-speaking scientific discourse in 1986 at a conference at the Bielefeld Center for Interdisciplinary Research (ZiF)16 initially did not discern between interdisciplinarity and transdisciplinarity (“true interdisciplinarity is transdisciplinarity”17) but later drew a distinction in stating that transdisciplinarity refers to concrete problem solving of issues that stem from outside of academia if in the process disciplinary boundaries are overstepped and structures permanently changed18. In contrast, Niklas Luhmann, who is only beginning to be received in Anglo-American academia but has already had strong influence on sociology, saw transdisciplinarity primarily as a project within academia, aimed at developing higher-order paradigms and new forms of organization of the scientific system19. Michael Gibbons, Helga Nowotny, Camille Limoges and colleagues have introduced additional terminology20. They identify ‘traditional science’ with “mode 1 knowledge production” and transdisciplinary science as “mode 2 knowledge production”. (Personally I feel that this additional terminology may be more confusing than helpful, but it does illustrate that there are genuinely distinct qualities in what I tried to represent as horizontal and vertical arrows in the symbols in Figure 1.) Transdisciplinarity in their view has four defining features: 1) distinct and evolving frameworks are developed in immediate response to the research question 2) it goes beyond the boundary of academia 3) its results are not communicated through institutional channels and 4) it is dynamic and unpredictable. The view that transdisciplinarity is a “practice oriented approach that is not confined to a closed circle of scientific experts and professional journals21” was seemingly also shared by many participants of the ‘International Transdisciplinarity Conference’ in Switzerland in 2000, one of the very few major international events so far to focus explicitly on transdisciplinarity. To sum up and integrate all the views reported up to here, one could say that the principles of transdisciplinarity (namely the merging of disciplines and the formulation of common axiomatic frameworks) can be applied to academic as well as non-academic undertakings, will usually serve to make individual disciplines more understandable and transparent across their boundaries and may lead to results which are more widely applicable and communicable than research stemming from only one discipline. The structure of the totality of levels of Reality and perception is a complex structure: every level is what it is because all the levels exist at the same time. Nicolescu goes on to describe transdisciplinarity as concerning “that which is at once between the disciplines, across the disciplines and beyond all discipline” (p.44). With some benevolence one can see this statement in correspondence with the graphical symbol of the arrow that connects, unites and points beyond the disciplines. I will expand a bit more on Nicolescu because he will be attending this conference and has already attracted some attention in the field as a somewhat leading figure due to organizing two of the rare gatherings explicitly dedicated to transdisciplinarity: the Premier Congrès Mondial de la trandisciplinarité, in Convento da Arrábida, Portugal, 2-6 Novembre 1994, followed by the 2nd World Congress of Transdisciplinarity September 6-12, 2005 in Vitória, Espirito Santo, Brazil. He has also founded the International Center for Transdisciplinary Research (CIRET), Paris, in 1987, with a current academic and non-membership of ≥150 which is considerable for the field. The website of CIRET23 together with the website of the network for transdisciplinarity in sciences and humanities (td-net)24 are the most substantial entry points for information and resources specifically concerning transdisciplinarity that I have found until now. What becomes apparent to some extent in the quotes above and to an even stronger degree in the rest of the ‘Manifesto of Transdisciplinarity’ is that some of the theoretical concepts used in transdisciplinarity become difficult to talk about in the hitherto most commonly used scientific terms and instead require the introduction of new notions and apparently paradoxical ways of speaking. This is, in my view, partially due to Nicolescu’s preferred style of writing but primarily an inevitable result of pursuing a rigorous transdisciplinary approach. Since the direction of such an approach is directly orthogonal to the direction of familiar disciplinary research and the way knowledge is usually structured, new concepts can be expected to be required in order formulate the transdisciplinary findings. For example, since transdisciplinarity involves ‘vertical’ ‘mobility’ across several levels of complexity, the formal logic to be employed is no longer only Boolean logic (which rests upon mutual exclusivity of something and its negation) but also the logic of complementarity (which defines a unity of such mutually exclusive concepts on a ‘higher’ level). This is called the ‘logic of the included middle’ by Nicolescu. There are a number of very interesting concepts of this kind emerging but much of it is work in progress and to delve into the details would be beyond the scope of this article. Another tendency that becomes visible in the ‘Manifesto of Transdisciplinarity’ and related literature is that subjective judgment seems to play an increasing role, compared to traditional scientific literature where objectivity is usually aimed for. This, too, may not only have to do with Nicolescu himself, who obviously connects to the notion of transdisciplinarity a powerful vision and accordingly strong emotions and personal involvement. Rather is seems to me an inescapable consequence of seriously and consistently following transdisciplinary principles, possibly even beyond the territory mapped out by the early concepts of transdisciplinarity. 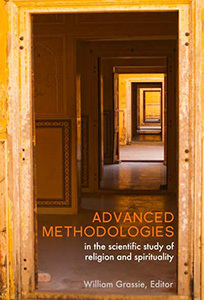 Seeing the connections between disciplines and the overarching frameworks both requires and enables an increasing emancipation from disciplinary norms, methods, concepts and traditions, thereby making it necessary for transdisciplinary researchers to work more and more as individuals, even when closely cooperating with others and even when temporarily exploring only one discipline in great detail. What is more, with increasing realization of the unity displayed in the diversity of reality comes naturally an increased respect for non-objective ways of knowledge production such as intuitions and feelings: There are recognized as an irreducible part of this reality and as such both irreplaceable in any comprehensive transdisciplinary understanding and indispensable for putting this understanding into action. The word metadisciplinary seems apt in this context because the prefix ‘meta-‘ represents a multifaceted and at the same time subtly coherent complex of meanings including 1) “after, behind,” 2) “changed, altered,” and 3) “higher, beyond,” from the Greek preposition ‘meta’ meaning “in the midst of, among, with, after,” from the Protoindoeuropean root *me– “in the middle”. It is commonly used as meaning “beyond” as in e.g. ‘metaphysics’ meaning “the science of what is beyond the physical”25. In epistemology, the prefix meta- is used to indicate self-referentiality in the sense of ‘about its own category’. For example, metadata are data about data (e.g. who produced it, in what format it is etc.). Any theory can have a metatheory which is the theoretical consideration of its foundations and methods26. In the symbol introduced in Figure 1 above, I try to do justice to the various new aspects that are introduced with the notion of metadisciplinarity: The circular motion represents the self-reflective and self-referential component which replaces and at the same time brings to completion the more linear dynamics of the earlier approaches. 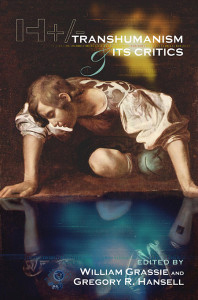 With ‘completion’ I mean the situation where both the disciplinary (horizontal) as well as the inter- and transdisciplinary (vertical) perspectives advance so far that they recognize the relative nature of epistemology and come to view themselves as both subject and object of both investigation and action. A second component of metadisciplinarity is that it brings to completion the transdisciplinary endeavor of uniting all disciplinary perspectives but also uniting the disciplinary with the transdisciplinary approach. This is symbolized by all the arrows converging onto the same point (or rather empty/non-finite space). This converging process should not only be understood as involving the abstract theoretical perspectives but, maybe more importantly, as concerning the individual human beings involved. Ultimately the only perspective in which all knowledge about reality can and has to be united into a coherent whole is the holistic experience of reality by each and every individual. The effect of being thrown back onto oneself while at the same time gaining a more coherent view of reality should not be underestimated in regard to both individual personal development and collective developments in human society. The more we manage to integrate all the different parts outside and within ourselves into a coherent whole, the more easily and successfully we can interact and cooperate with other individuals in building a more integrated society. In this way, metadisciplinarity (like the arrows) actually not only points to the place from where everything started but at the same time sets the stage for a whole new level of differentiation and integration, thereby opening up the circular pattern into a kind of spiral movement, which I will discuss in some more detail in the next section and in Figure 2. Before doing so, I want to briefly mention for completeness, the term ‘postdisciplinarity’ which is also frequently used, primarily in the social sciences, humanities and the arts27. Sometimes it is used for situations similar to the one I describe here for metadisciplinarity but mostly for situations that I would label transdisciplinary. Some authors actually define post-disciplinarity as synonymous to transdisciplinarity28. Either way, in most cases the meaning of postdisciplinarity is somewhat more narrow than that of metadisciplinarity, since it is often used for referring to a situation that only involves the above mentioned section of the disciplines without implying even an ambition to develop into a more all-encompassing framework. In addition the meaning of postdisciplinarity is often further confined to a temporal perspective in the sense that it occurs, historically, after the era of disciplines. While the Latin post (=after) is one of the possible translations of the Greek meta, the latter has a more multidimensional meaning. Metadisciplinarity can thus more easily be thought to temporally coexist with other forms of disciplinarity. However, the temporal perspective is important and an interesting observation is that postdisciplinarity is often referred to in juxtaposition with predisciplinarity, and sometimes even defined as “inspired by pre-disciplinary research approaches without sharp demarcations between areas of research now split between social sciences and humanities”29. This further underlines a connection between starting and endpoints of the development described here, which we will now consider in some more detail in the next section. It appears to me that from the concepts laid out here, one can discern a development which, with a certain time-lag, counterbalances the increasing level of specialization in all professions. Apart from considering this as a linear advancement with a starting point in the past and an endpoint in the future, I think it is more helpful picture it as a circular development which results very much in a revisiting of the very place from which it embarked. This, however, does not simply mean coming back to where we started, but can actually be thought of as a sort of spiral dynamic30, which means that we do go through these phases in a periodic way, but advancing to a ‘higher level’ on every round. To illustrate this point, let us consider how humanity arrived at the point where we initially started out with our exploration, namely the situation of society being organized into ‘disciplines’. Before reaching this stage, mankind had already undergone a long development from a species of relatively generalist individuals (“hunters and gatherers”) to a species of technically and rationally highly specialized individuals. But since for each individual, advances in one area have to happen at the expense of the advance in other areas, such specialisation is only possible when at the same time there exists a system of cooperation between the various specialists. This cooperation initially entails the distribution of benefits and the exchange of information and the coordination of activities. As an example of what I mean, consider the development from hunting and gathering to self-sufficient agriculture to highly specialized medieval guilds (which of course continues to today’s food industry). While on the one hand there was a process of considerable professionalisation (specialization/disciplinarisation) in that for example only one person per village would bake bread, this had to sooner or later be compensated by advanced integration and cooperation strategies such the introduction of a money-based market (and by now an intricate economical system). We see that similar principles are at work here as we have described them above with regards to the more recent ‘round’ of disciplinary specialization and cooperation. So one could say that the academically ‘pre-disciplinary’ situation in the Middle Ages was at the same time the result of a specialization process which had reached the stage of being completely integrated into an overarching meta-professional disciplinary framework. The more specialization advances, the more important the cooperative system becomes. Both specialization and cooperation can develop strong dynamics of their own which can serve to mutually provoke even further sophistication but need to, on the whole, balance each other in order to remain beneficial for humanity as a whole. Overemphasis on cooperation will for example lame the advancement whereas unbalanced specialization will lead to fragmentation. 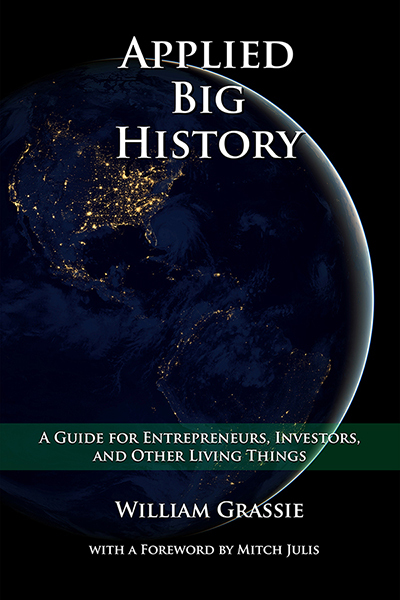 If there is really such an analogy between these historical developments and the developments we are observing more recently, then, we may also be able to predict future developments, in that they should happen in comparable patterns. Without having analyzed this in great detail, it seems to me that in regard to the cooperation between different academic disciplines this could amount to for example a very much expanded realm of information-, knowledge- and skill- management and exchange systems and an academic system that enables totally flexible cooperation on a project to project basis. However, we are still very much in the process and while transdisciplinarity is only beginning to gain momentum, metadisciplinarity can only be sensed in it first fragile attempts to live up to a vision that is itself only starting to gain contours. From the LSI Freiburg: Thanks to the funding from the Metanexus Institute and the Samueli Institute for Information Biology31, an extensive program has been initiated since the beginning of activities in April 2005. 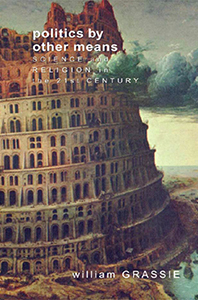 A major part of it consisted of a series of 34 public events under the title “Science-Religion-Spirituality: An interdisciplinary dialogue” (with a total attendance of over 1600 members of the public and the university) consisting of lectures, discussions and experiential sessions (such as introductory meditation classes) which involved highly renowned capacities from such diverse fields as neuroscience, theoretical physics, Catholic theology, philosophy, psychology, psychotherapy, Zen-Buddhism, Advaita, ecology, quantum physics, history of science, personal time management, pharmacology, spiritual healing, parapsychology, the Protestant church, oncology and cardiology. During the first third of events a range of issues where science religion and spirituality meet were covered, such as medical studies on near death experiences or the historic dialogue between Wolfgang Pauli and C.G. Jung and many more. During the remaining two thirds of events we embarked on an in-depth exploration of the topic ‘time’ from a large variety of perspectives. While the first third our series was mostly multidisciplinary in the sense that different people with different specializations reported on topics that were familiar and important to them interdisciplinary was introduced by the fact that many of the lecturers were strongly influenced by more than one discipline and secondly by the fact that the people in the audience would modify their own disciplinary borders by taking on board the things they heard and experienced. In the remaining two thirds, however, a new element of transdisciplinarity was introduced in that one of the aims was to arrive at an understanding of time that spanned many different disciplines, academic and non-academic as well as first person subjective experience. A number of crucial insights were gained regarding this transdisciplinary ambition: during the course of these events actually an extremely interesting coherence and congruency emerged between the various perspectives. Participants reported a remarkably deepened understanding as well as a more integrated world view. 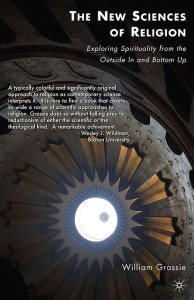 It seemed that while both science and religion per se provide perspectives of fundamental importance, these are embedded in and diversify into a much larger spectrum of relevant perspectives. All of these perspectives can not only contribute to a better understanding of the topic at hand (in our case ‘time’) but even serve to illuminate each other and actually fit together in a coherent way. Integration of these different disciplinary viewpoints, however, seems to work best when the focus is not primarily on the different disciplines, with people serving as their representatives, but rather on the people themselves as individuals who have a particular background of experiences, knowledge and skills but also particular interests, fears and limitations. This move beyond disciplines towards an integrated wholeness both in terms of the discourse as well as the individual participants is in my view the essence of the metadisciplinary approach. It is, however, as difficult as it is desirable to get myself and other people to advance in this direction. This has probably many reasons, for example because we may not be conscious of our individual background of hopes and fears etc. In addition, many of us are not used to interacting in such a holistic way, especially in our professional lives, and appropriate forms and methods for doing so are not fully developed yet. To change this, I see as a task of major importance which we want to pursue in the future through our work at the LSI Freiburg. More information can be found at the website www.metadisciplinary.net (currently still very much preliminary and under construction!). From my own research: The focus of my scientific work at the University of Freiburg has been for the last four years a theory called “Generalized Quantum Theory” which is based on a theoretical framework formulated by Harald Walach, Hartman Römer and Harald Atmanspacher32 and the Model of Pragmatic Information as proposed by Walter von Lucadou33. The basic insights coming from this collective research endeavor so far is that one can legitimately interpret the phenomena observed in quantum physics from a systems-theoretical perspective. Such a systems theoretical perspective can obviously also be applied to all other kinds of system which are not quantum mechanical in the strict sense. When one then compares systems from which the occurrence of ‘unexplainable’ phenomena (such as paranormal or mystic experiences or alternative healing) is reported with quantum systems in which non-causal correlations occur, one can find remarkable similarities. This could lead to a new understanding of those phenomena hitherto found unexplainable in a purely causal framework. Here is not the place for a more detailed discussion of these findings, an introductory article 34 and further literature is available upon request. The main reason the project is mentioned here is because it serves as a good illustration of a transdisciplinary approach: the aim is to find a set of principles which holds true for any systems, no matter if they consist e.g. of single quanta or human beings. Metanexus: The Metanexus Institute has recently formally taken onboard the transdisciplinary terminology by incorporating it into its mission statement (“metanexus: transformational networks and transdisciplinary approaches—the whole story of the whole cosmos for the whole person”). This, in my view is a great visionary move, consistent with the history and the spirit of Metanexus and indeed a logical extrapolation of the work so far. At the same time I think it should not be ignored that really living up to a transdisciplinary mission will require some substantial refocusing and a redistribution and broadening of priorities. While, for example, the ambition to unify and transcend existing disciplines is deeply rooted in the Metanexus movement, there exists up to now hardly a truly coordinated effort to work out and make explicit an overarching framework which could achieve that. There are a number of people involved in Metanexus and the LSI Program who are pursuing such ambitions but currently the structures and methods to bring them together in a concerted effort are lacking. I suggest that it would be worthwhile for the Metanexus Institute to make explicit to themselves and the world the aims and ambitions they associate with transdisciplinarity and the strategies and methods to reach them. If transdisciplinarity is meant to be(come) more than a marketing label, it will need a deep commitment and the willingness to adopt and develop new ways of working. For example I imagine there would have to be in addition to or instead of the traditional annual gathering a much more focused and outcome oriented meeting. Currently the Metanexus Conference requests contributions that form a wonderful bouquet but the integration of the different perspectives is left more to the individual participants than to an explicit communal effort as for example in the formulation of a joint declaration or the decision upon research strategies, possibly connected with specific funding programs by the Templeton foundations and others. Another important enrichment of the current ways of working could come from experimenting with new ways of interacting in particular at the annual gatherings as well as throughout the year. The familiar structure of one-to-many lectures alone does not really seem to live up to the requirements of an integrative transdisciplinary endeavour anymore. Good alternatives or extensions are not yet easy to find, which makes it all the more important for leading organisations in the field to make an effort to develop such tools and methods. To be clear: I very much welcome the commitment of Metanexus to the transdisciplinary cause. I just want encourage a constructive debate and inspire some changes by pointing out that the stakes are high both for Metanexus and for transdisciplinarity as an emerging movement: The risk is getting caught up in the eddies of a half-baked movement of organisations and projects claiming transdisciplinarity as their figurehead and thus actually increasing the confusion and frustration which has already been caused by inflationary use of the term. The potential is that Metanexus sails ahead with full power and a very clear vision and shows others the way. 2 Discipline – Merriam-Webster Online Dictionary. Retrieved from http://www.m-w.com, April 29th 2007. 4 The American Heritage® Dictionary of the English Language, Fourth Edition © 2006 by Houghton Mifflin Co.
8 The American Heritage® Dictionary of the English Language, Fourth Edition. Houghton Mifflin Company, 2004. Retrieved 29 Apr. 2007. http://dictionary.reference.com/browse/interdisciplinary. 9 A title I do not intend to be taken too seriously… To judge for yourself: The Last Man Who Knew Everything: Thomas Young, the Anonymous Polymath Who Proved Newton Wrong, Explained How We See, Cured the Sick, and Deciphered the Rosetta Stone, Among Other Feats of Genius. Andrew Robinson. Pi Press, 2006. 11 Webster’s New Millennium™ Dictionary of English, Preview Edition (v 0.9.6). Lexico Publishing Group, LLC, 2003-2006. Retrieved 29 Apr. 2007. http://dictionary.reference.com/browse/transdisciplinary. 17 Mittelstrass, J. (1993) “Interdisziplinarität oder Transdiszipinarität?” In: Hieber, L. (Ed.) Utopie Wissenschaft, Munich/Vienna: Profil. 20 Gibbons et al. (1994) The new production of knowledge. 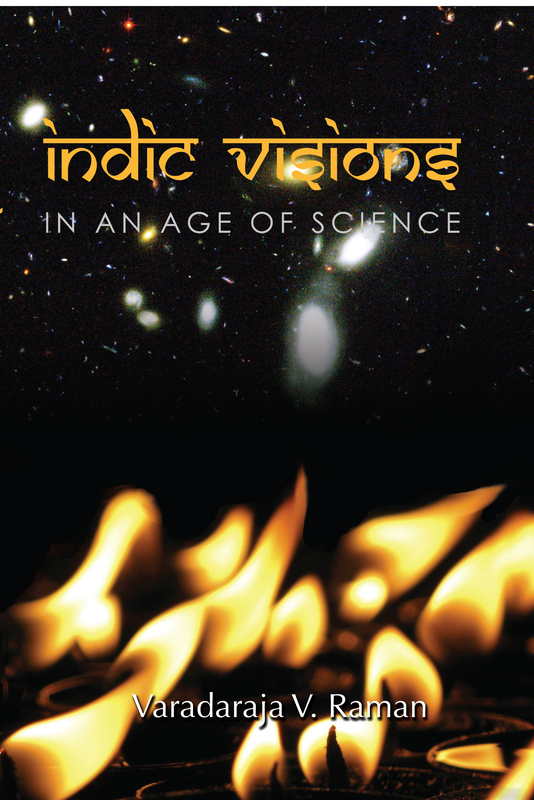 The dynamics of science and research in contemporary societies. London/Thousand Oaks/New Delhi: Sage. 21 Häberli et al. (2001) Synthesis. In: Klein J.T. (Ed.) Transdisciplinarity: Joint Problem Solving among Science Technology and Society. Birkhäuser, Basel/Berlin/Boston. 22 Nicolescu, B. (2002) Manifesto of Transdisciplinarity. SUNY Press, New York. 29 Jessop, Bob and Ngai-Ling Sum (2003) “Pre-disciplinary and Post-disciplinary Perspectives”. New Political Economy 6/1: 89-101. 30 A notion not completely unrelated to the one developed by D.E. Beck and C. Cowan ((1996). Spiral Dynamics: Mastering Values, Leadership, and Change. Oxford: Blackwell Business.)) and refined among others by Ken Wilber.